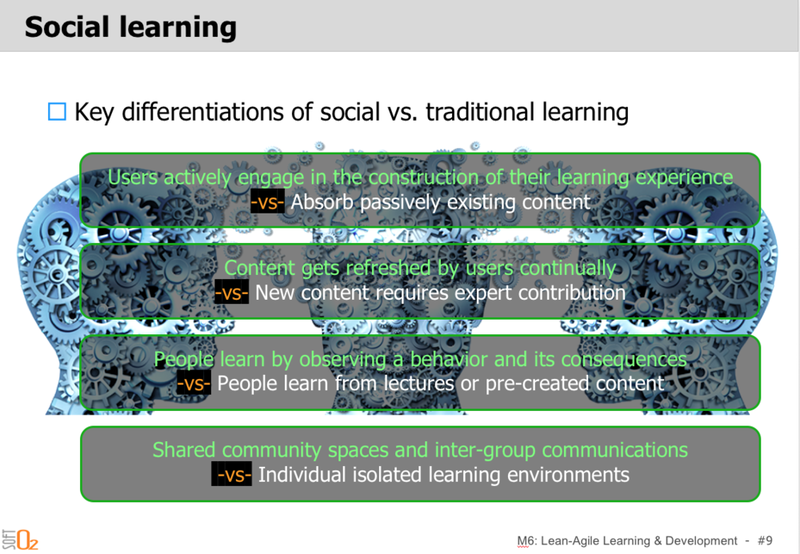 HR and people management is globally becoming Lean and Agile because it results in more healthy culture and employee experience. 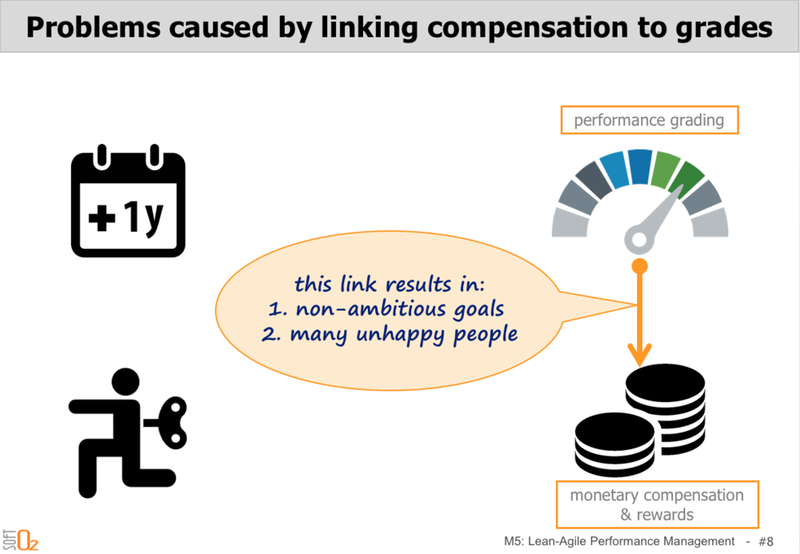 How Lean-Agile are you in HR? 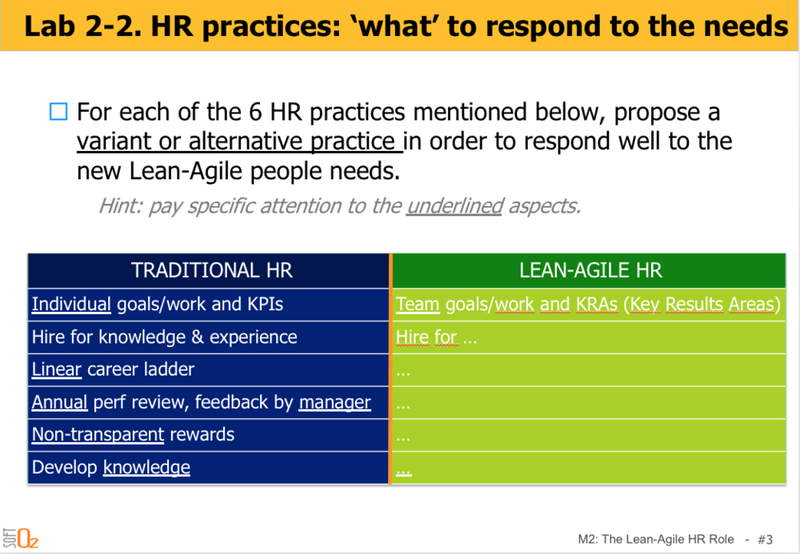 Learn how to actively participate as an HR or people manager in your company’s Lean-Agile journey. Renew company culture, organisation patterns, KPIs, performance management, hiring, training, career paths, office layouts and more in order to help create an end-to-end Lean-Agile organisation. 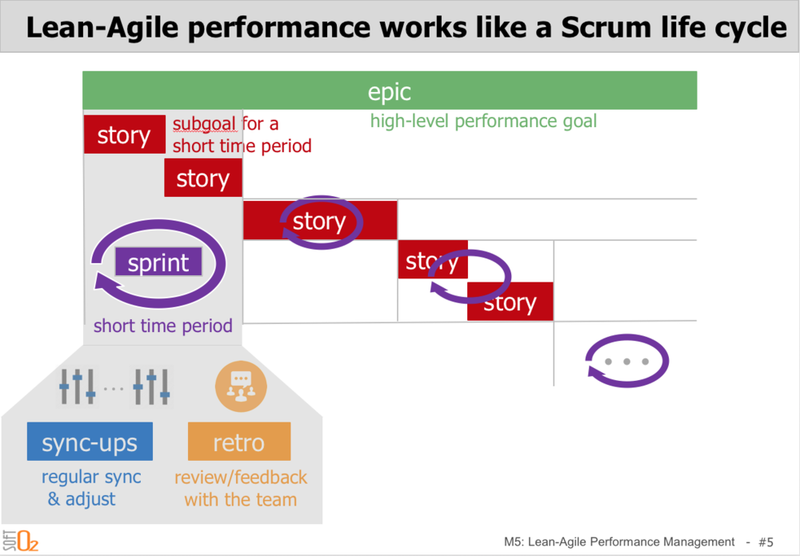 Learn how to actively participate in your company’s Lean-Agile journey. Renew people’s mindset and behaviours, company culture, organisational collaboration patterns, servant leadership, team empowerment, learning approaches, office environment and more. Learn how to plan and facilitate at release/project and team/iteration level including release forecasting, story point sizing, task estimating and progress tracking. This two-day course teaches how to leverage the Scaled Agile Framework to lead a Lean-Agile transformation at enterprise scale. You will gain an understanding of the Lean-Agile mindset and how to apply the principles and practices of SAFe to support Agile teams, programs, program portfolio management, Agile Release Trains and Value Streams. SAFe Agilist (SA) certification is included after an exam. Develop the skillsets needed to guide the delivery of value in a Lean enterprise—and learn about the activities, tools, and mechanics used to manage backlogs and programs—by becoming a SAFe® 4 Product Owner/Product Manager (POPM). 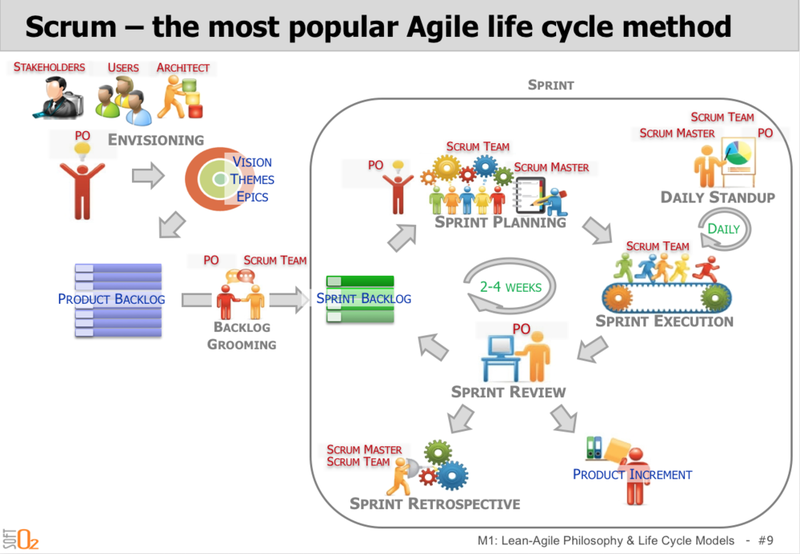 Get an overview of what is involved in an agile transformation. Learn about strategies for agile transformation, transformation stages and planning, agile method and tools selection, culture change management, training and coaching.